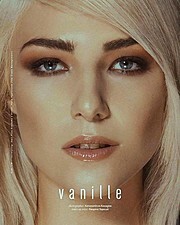 Yulia Agafonova is a model currently based in Thessaloniki. Originally from Belgorod, Yulia studies History and Archeology at the Aristotle University of Thessaloniki. Her experience includes fashion photoshoots for various designers and participation in events. She is available for fashion and print projects as well as collaboration with other modeling professionals.